As I was pouring the pickling liquid over the spicy coriander and ginger pickles I posted a bit back, Zak came home from a walk with the dog and asked if I could add some shallots. Because the volume had been measured already, I couldn’t. What I could do, however, was pickle up some shallots and a head of garlic separately, using another batch of the same brine. I mean, I already had the spices out, right? I’m very glad I made this. The garlic makes for an excellent snack. The shallots, sliced or chopped up, work as a really nice topping on all sorts of sandwiches (one of which I’ll be posting shortly). 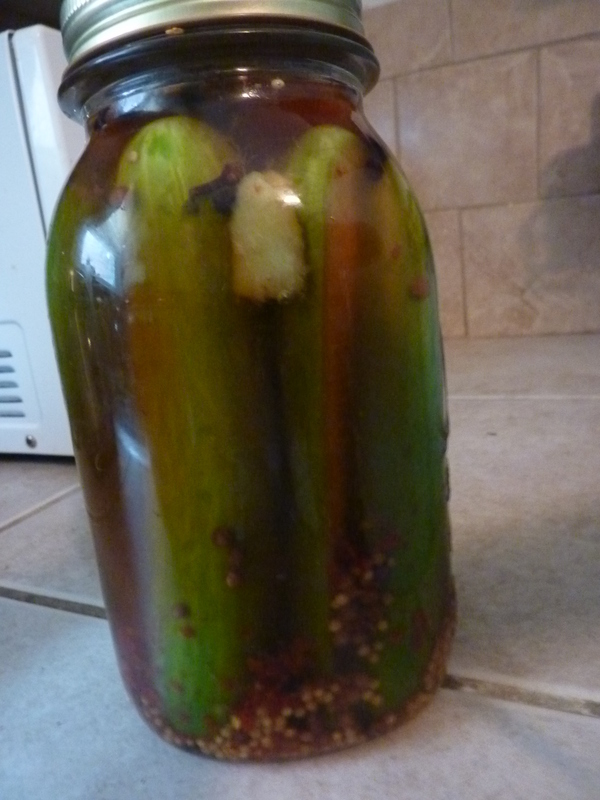 Similar to the pickled red onions and cucumbers I made previously from Michael Symon’s pickling recipe, these are being quickly devoured. 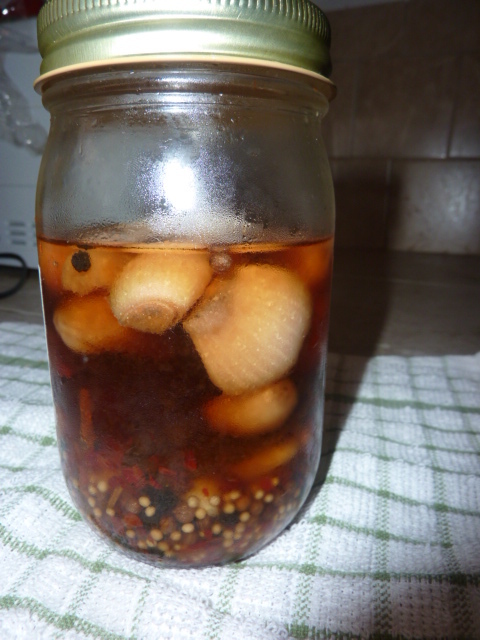 Pack the shallots and garlic in a 1-quart jar and cover with water to come within 1/2″ of the rim. Pour the water out into a measuring cup. Note the volume, then pour off half of the water. Replace it with half apple cider vinegar and half rice wine vinegar. Now that the weather has warmed up, I need to try and think of recipes that don’t use the oven. Preferably, some of them will involve the grill. These were absolutely perfect for the increasingly hot weather – light, refreshing, and bursting with flavor. The flavors in these tacos were extremely fresh and bright. The cilantro and lime marinated shrimp picked up the smokiness of the grill and retained their natural sweetness. The onions packed a punch of spices and a delicious tartness from the vinegar. 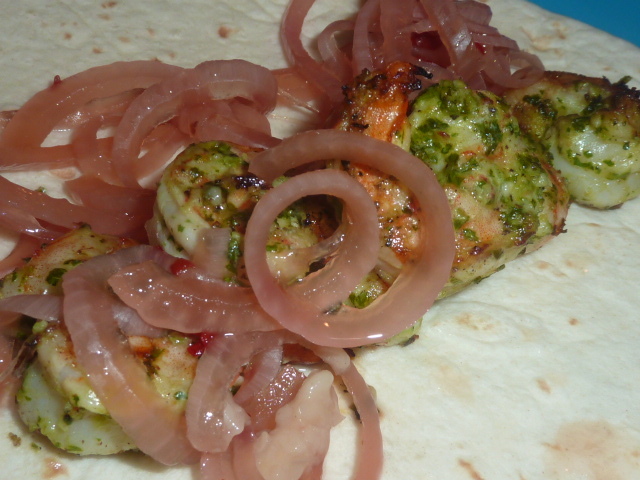 The vivid green of the marinade contrasted nicely with the pinkish hue of the onions. Both pretty and flavorful, these were an extremely easy, refreshing, and flavorful taco. 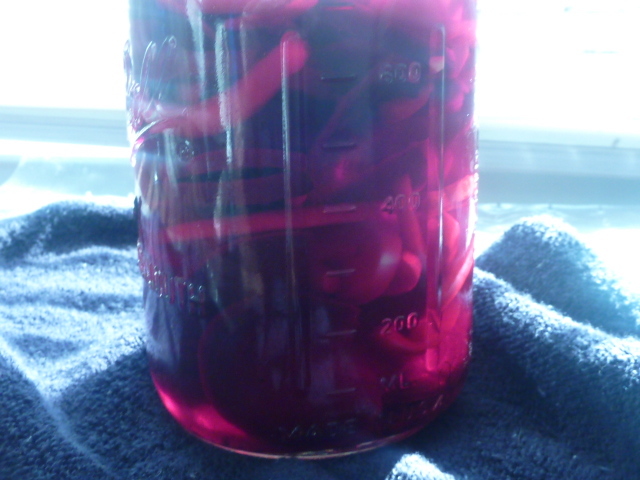 Pack the onion slices in a 1-quart jar and cover with water to come within 1/2″ of the rim. Pour the water out into a measuring cup. Note the volume, then pour off half of the water. 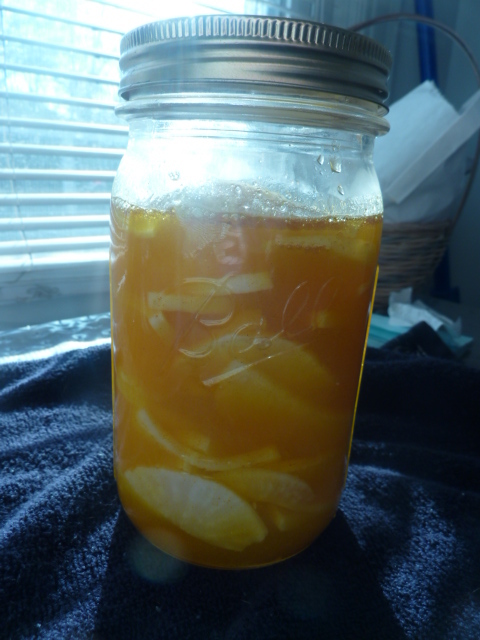 Replace it with half apple cider vinegar and half rice wine vinegar. For example, the total volume of water was 2 1/2 cups. So I used 3/4 cup apple cider vinegar and 3/4 cup rice wine vinegar. Add cilantro, garlic, lime juice, and jalapeño to a food processor. Pulse a few times to chop the cilantro and garlic. With the machine running, slowly add the olive oil. Add the shrimp and the cilantro mixture to a ziplock bag and marinate for thirty minutes. Meanwhile, heat up your grill. Thread shrimp onto skewers, making sure they have some space between them. Brush with leftover marinade. Add the skewers to the grill. Depending on the heat of your grill, cook about 4-5 minutes per side, brushing with any leftover marinade as they cook, until pink and no longer translucent. Add 4-5 shrimp to each tortilla. Top with some onions. Fold into taco shape and devour.